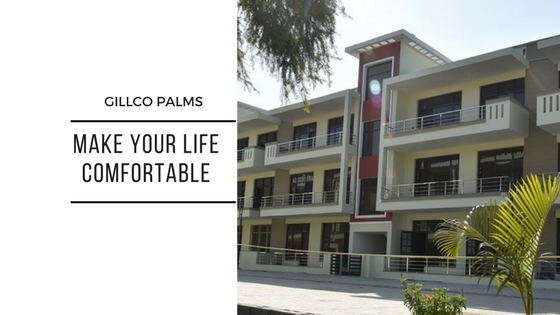 Gillco Palms : Lavish homes designed for comfort! Gillco Group & Builders Pvt. 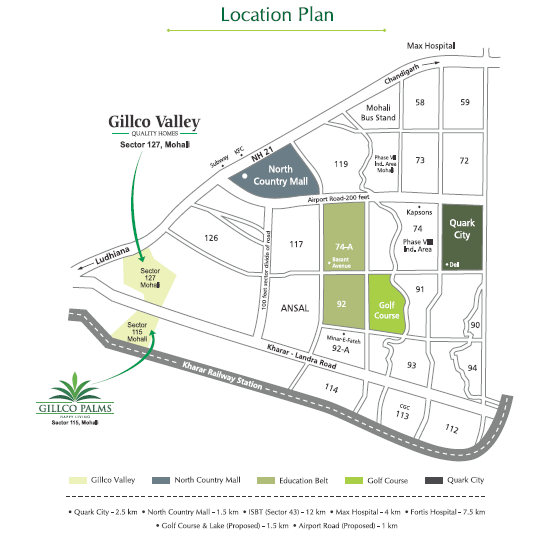 Ltd has launcheda magnificent new project called Gillco Palms Mohali. The complex has 3 BHK independent floors for comfortable living.Situated in Mohali Sector 115, Chandigarh, the project is one of the most popular ones in the area among investors and home seekers due to its excellent location. The project is built with high-quality construction material and has detailed planning to bring comfort and style in your lives. The apartments are well-ventilated and have uncluttered natural space surrounded by beautiful landscaped greens. Thecomplex is designed in such a manner to give a pleasant and well-maintained living environment filled with peace and serenity. The project provides independent floors that are extremely appealing to an exclusive group of home buyers who appreciate privacy and security. 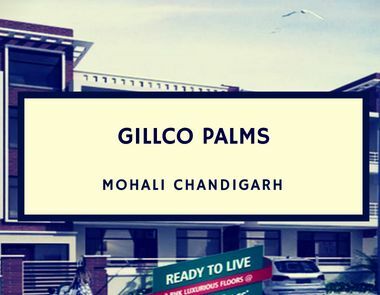 With efficient utilisation of space, Gillco Palms Mohali offers everything that a home buyer needs. The houses are beautifully designed with optimum utilisation of space. Each apartment has large windows and spacious balconies from where you can enjoy the green surroundings. There is pre-polished green marble for flooring, air conditioner points & internal fittings for television, telephone switches and socket in each room, wardrobe in all bedrooms, 24-hour water supply, rain water harvesting, and much more features for home buyers. The complex has amazing external amenities, which include a fully-loaded club house, power backup, 24×7 security, intercom, and even an in-house ambulance. The complex offers landscape garden and jogging track, for a fit life. This project is all set to provide you with all the comforts of life. The project is one of the most sought after in Mohali. Gillco Palms prices Starts from 44.90 Lacs, and is supported by friendly payment plans and multiple loan options. Located on 200 ft. wide Kharar-Landran Road, this project offers you all the necessary requirements of daily life within close vicinity. Bus station, hospital, bank, commercial complex, ATM, office headquarters, petrol pump, train station, etc. are all situated in the neighbourhood that makes your life convenient and more accessible. The residential project gives you unmatched connectivity to all the important landmarks and places of everyday utility. All in all, when simplicity and contemporary design come together, the result is Gillco Palms. An amalgamation of comfort and luxury blend to provide a truly sophisticated lifestyle. So, come and make a smart investment and soothe your senses in the beautiful complex. Power backup for common areas.